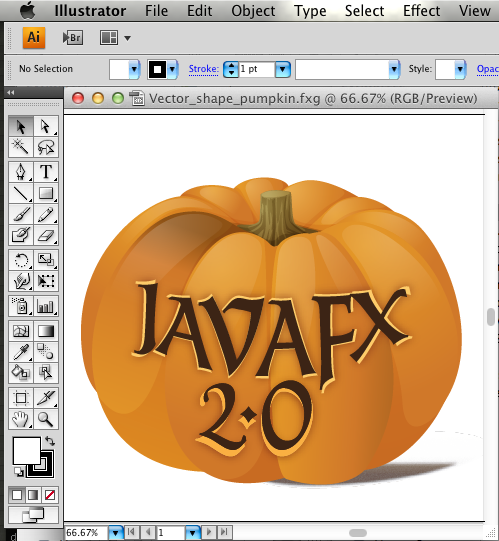 I put a simple JavaFX UI around the XSLT conversion. There is not much code to the XSL file about 100 lines. 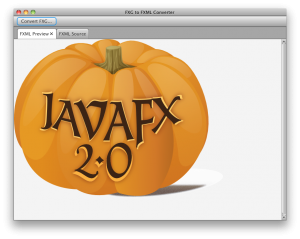 It doesn’t support anywhere near all of the FXG file format and in some places it approximates the conversions rather than being exact. 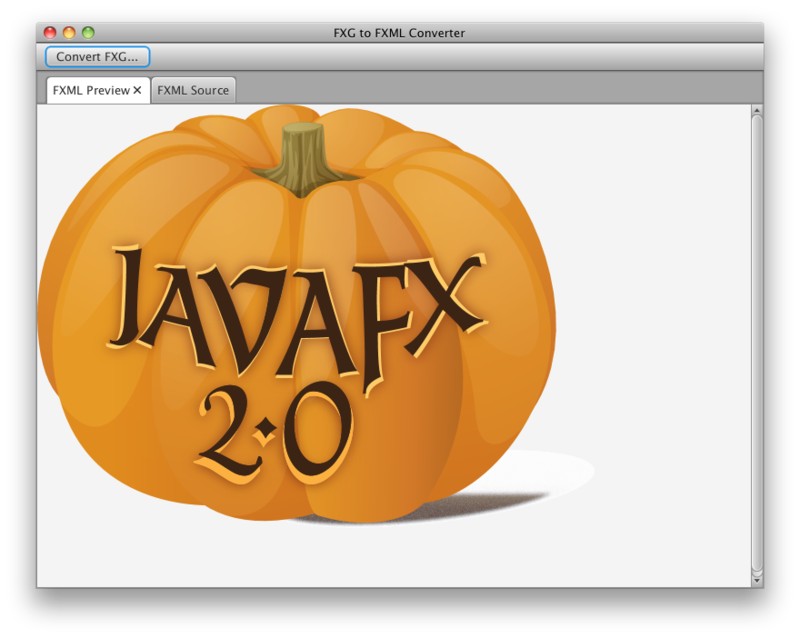 Even with its limitations its still very useful for quickly taking vector graphics into JavaFX. 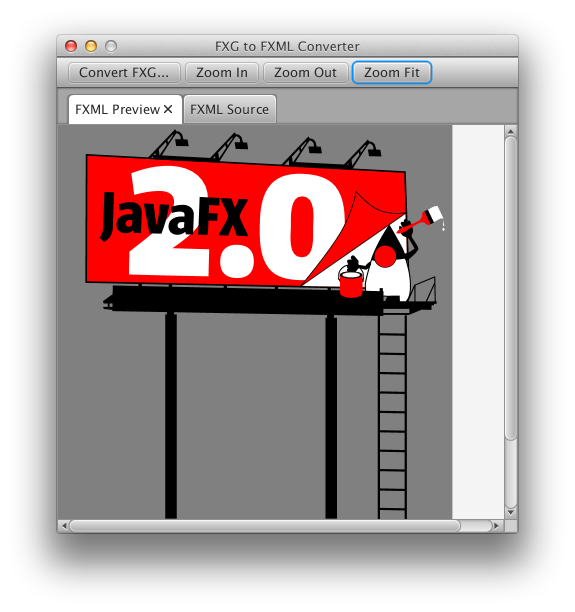 I think it would be simple to do exactly the same thing for SVG to FXML conversion, hopefully one of you will take this on and create a XSL file for that. Its not perfect but I think its not a bad quality of conversion for a couple hours work. Hi Jasper, which Converter did you try out first? Is it the one from here: http://harmoniccode.blogspot.com/ ?